Brandstatter, Natash. “Dancing Through Time: The Evolution of the Labyrinth into a Symbol for Pilgrimage.” Caerdroia. The Journal of Mazes & Labyrinths 37 (2008):18-30. Bugslag, James. 2005. “Pilgrimage to Chartres: The Visual Evidence.” In Art and Architecture of Late Medieval Pilgrimage in Northern Europe and the British Isles, edited by Sarah Blick and Rita Tekippe, 135-183. Boston: Brill. Cousineau, Phil. 1998. The Art of Pilgrimage. The Seeker’s Guide to Making Travel Sacred. Berkeley, CA: Conari Press. Forest, Jim. 2007. The Road to Emmaus: Pilgrimage as a Way of Life”. Maryknoll, NY: Orbis. Girault, Marcel et Pierre-Gilles. Visage de Pèlerins au Moyen Age: Les pèlerinages européens dan’t l’art et l’épopée. Orléans: Zodiaque. Keller, Rosanne. 2006. Pilgrim in Time. Collegeville, MN: Liturgical Press. Prache, Anne. 1993. Chartres Cathedral. Image of the Heavenly Jerusalem. Translated by Janice Abbott. Paris: CNRS Editions. Turner, Edith L. B. 2012. Communitas : the anthropology of collective joy. 1st ed, Contemporary anthropology of religion. New York: Palgrave Macmillan. Turner, Victor W., and Edith L. B. Turner. 2011. Image and pilgrimage in Christian culture, Columbia classics in religion. New York: Columbia University Press. Welch, Sally. 2009. “Making a Pilgrimage.” Oxford: Lion Hudson. Fassler, Margaret. 2000. “Mary’s nativity, Fulbert of Chartres, and the Stirps Jesse: Liturgical innovation circa 1000 and its afterlife ” Speculum 75 (2):289-434. Fassler, Margot. September, 1993. “Liturgy and sacred history in the twelfth-century tympana at Chartres.” Art Bulletin 75 (3):499-520. Fassler, Margot Elisabeth. 2010. The Virgin of Chartres: Making History through Liturgy and the Arts. New Haven: Yale University Press. Delaporte, Y. Les Trois Notre-Dame de la Cathédrale de Chartres: Études Suivie de la Liste des Images de la Vierge Apartenant a la Cathédrale et de Quelques Mots sur le Peleringe de Chartres. Chartres, France: Éditions Houvet. Anderson, Richard Feather. 1992. How to Draw of Lay Out a Replica of the Chartres Cathedral Labyrinth: Self-Published for $4.00. Chartres, Association de Amis du Centre Médiéval Européen de. 1999. Un Fil D’Ariane Pour Le Labyrinthe de Chartres. Actes du Colloque Européen des 3 et 4 juilliet 1999. Chartres: AACMEC. 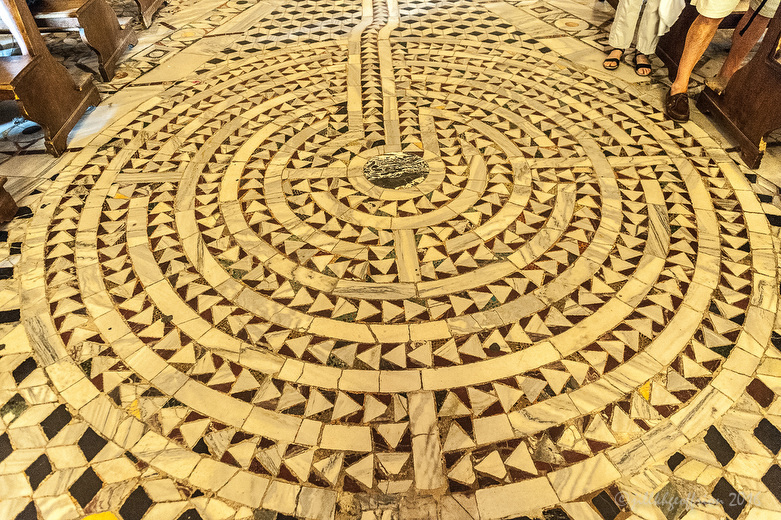 Daniel K. Connolly, “At the Center of the World: the Labyrinth Pavement of Chartres Cathedral” from Art and Architecture of Late Medieval Pilgrimage in Northern Europe and the British Isles, Ed. Sarah Blick and Rita Tekippe (Boston, Brill Academic Publishers, 2005) 286. Doll, Kristin. 203. Domus Deadeli: Elements of Sacred Symbolism in the Labyrinth of Chartres. St. Paul, MN: University of Minnesota. Esden, John Dykstra. 1985. “Chartres and Ry oan-ji: Aesthetic Connections Between Gothic Cathedral and Zen Garden.” The Eastern Buddhist 18 (2):9-18. Chartres, Ensemble Fulbert de. 1998. Musica Cathedralis. Chartres, XIIIeme siecle. Paris: Arion. CD-2 CD set. Chartres, La Maurache & l’Ensemble Fulbert de. 2006. Fulbert: Chartres Millenaire 1006-2006. Acanthus. Compact Disk. Adams, Henry (1989). Mont-Saint-Michele and Chartres. Princeton, NJ, Princeton University Press. “A study of Thirteenth-century unity and its expansive scope, together with the author’s deep understanding of the period, makes it a classic in art history as well as American literature.” Princeton University Press. Armi, C. Edson. 1994. The “Headmaster” of Chartres and the Orgins of “Gothic” Sculpture. University Park, PA: The Pennsylvania State University Press. Barron, Robert. Heaven In Stone and Glass: Experiencing the Spirituality of the Great Cathedrals. New York: Crossroad Publishing Company, 2000. A devotional tool to help understand the spiritual nature of the great cathedrals. Each chapter is designed to both teach and inspire. JKHG. Charpentier, Louis (1966). The Mysteries of Chartres Cathedral. London, Thorsons Publishers LTD.
Compton, Vanessa Jane. “Experience and Meaning in the Cathedral Labyrinth Pilgrimage.” Master of Arts, University of Toronto, 2001. Cowen, Painton. Rose Windows. Golborne, Lanacashire: Thames and Hudson, 1979. “…shows that the rose window evolved to answer a perennial human need for a symbol of divine and cosmic unity. He traces its origins in the simple oculus or round aperture, its identification iwth the Wheel of Fortune in Romanesque art, and its flowering in the twelfth-century renaissance that produced the Great Gothic cathedrals. Their builders incorporated an ever-growing complexity of geometrical relationships and theological conceptions into the layout of these vast concentric patterns, which came to serve as mandalas, healing images of order in a chaotic world.” Publisher Eusden. John Dykstra. 1985. “Chartres and Ry oan-ji: Aesthetic Connections Between Gothic Cathedral and Zen Garden.” The Eastern Buddhist no. 18 (2):9-18. Erlande-Brandenburg, Alain (1993). The Cathedral Builders of the Middle Ages. London, Thames and Hudson. “Even now, the great cathedrals of the Middle Ages overwhelm us by their imagination, technical daring and sheer scale. How could such structures be built when cities had only a few thousand inhabitants and only the most primitive machinery was available? Who designed them? Who paid for them? Through the sparse documentary records that exist today, and drawing and details from contemporary miniatures, we are led into the extraordinary world of the medieval master mason.” Publisher. Erlande-Brandenburg, Alain (2000). Chartres., Editions Jean-Paul Gisserot. Small guidebook of the Cathedral. Favier, Jean (1988). The World of Chartres. New York, Harry N Abrams, Inc.
“This is the most complete and sumptuously produced volume available on Chartres, its history, its structure, its sculpture, its music, and its glass artistry. Jean Favier, one of France’s leading historians of the Middle Ages, has written a deeply personal, humanistic narrative of the cathedral’s construction…” Publisher. Favier, Jean. 1988. The World of Chartres. New York: Harry N Abrams, Inc.
James, John (1982). The Master Masons of Chartres. NY, West Grinstead Publishing. A wonderful book by a man who studied the cathedral stone by stone. Katzenellenbogen, Adolf (1959). The Sculptural Programs of Chartres Cathedral. Christ, Mary, Ecclesia. New York, W. W. Norton & Company, Inc.
“In the sculptural decoration of its three facades, the Cathedral of Chartres holds a unique place among the great cathedrals of France. On no other church facades are the programs of representation so complex and finely spun, and at the same time, so clear in structure. In addition to minute descriptions of each sculpture, and with constant reference to the illustration included in this volume, Dr. Katzenellenbogen brings into this discussion information culled from an analysis of many hitherto neglected literary sources and liturgical texts, and he takes into account as well the particular theological, philosophical and political concepts of the time which were vital in the formation of the programs.” Publisher. MacDonald, Fiona and John James (1991). A Medieval Cathedral. New York, Peter Bedrick Books. “Step inside a medieval cathedral and discover for yourself what it was like to work and to worship there. Superb cutaway illustrations provide a vivid insight into the construction and way of life of these magnificent houses of prayer.” Peter Bedrick Books. Miller, Malcolm (1994). Chartres Cathedral. 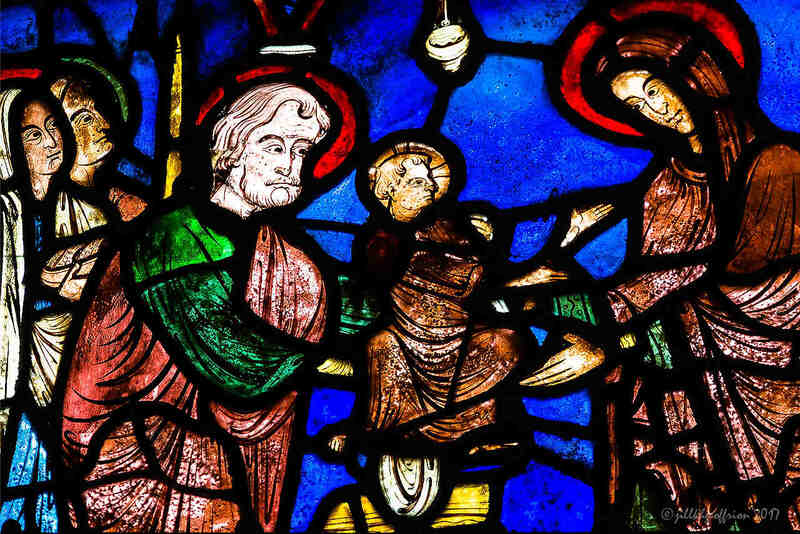 Medieval Masterpieces in Stained Glass and Sculpture. Andover, Hampshire, Great Britain, Pitkin Unichrome. “…provides a superb introduction to the medieval masterpieces of Chartres, indicating where to find the most important features and explaining the significance of what can be seen.” Publisher. Prache, Anne (1993). Chartres Cathedral. Image of the Heavenly Jerusalem. Paris, CNRS Editions. “The intention of the builders of Chartres was to create a place of meditation for the faithful. The author guides us through the cathedral along the same path taken by medieval Christians, and explains the mysterious attraction of this great Gothic masterpiece, a building which has come down to us almost intact over the ages, and which still radiates with a luminous spirituality.” CNRS Editions. Strachan, G. (2003). Chartres: Sacred Geometry, Sacred Space. Edinburgh, Floris Books. “Chartres Cathedral continues to attract thousands of pilgrims after over seven hundred years. The author believes it is because of a unique combination of the earth energies of the ancient site, the marriage of Christian and Islamic architecture, mysticism and that skills of medieval geometers and craftsmen.” Publisher. Tripp, Judith. Poems from a Spring in Chartres. Woodacre, CA: Circleway Books, 2004.